Developments in plant factory practices have a lot of interest. Whether this is embedded in urban farming or in industrial applications, many people are interested in the potentials of this phenomenon. In September HollandDoor welcomed potential investors, who would like to learn about the innovations in plant factory systems. 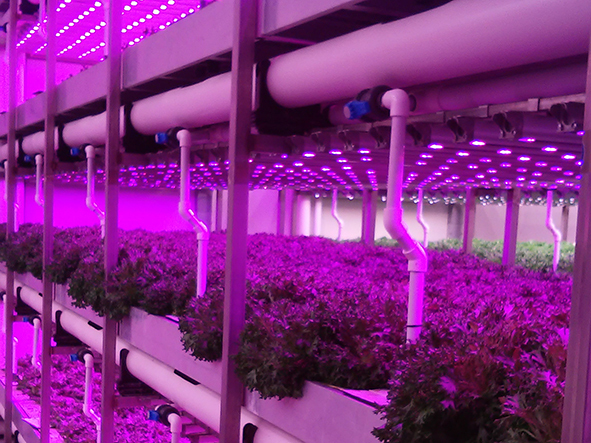 This includes new techniques in hydroponics, LED lighting and climate control. The group visited different companies that are involved in developing and realising plant factory projects. The study tour started with a conversation with a researcher who has been involved for over 10 years. After two days our guests had a good view of the innovations and good matches with suppliers were made.